I was at Banana Joe's the other night. That is what a "supermarket" is called around these parts. I like going in there because they have misting machines over the vegetables, and such things bring joy to my soul. Not sure why exactly. 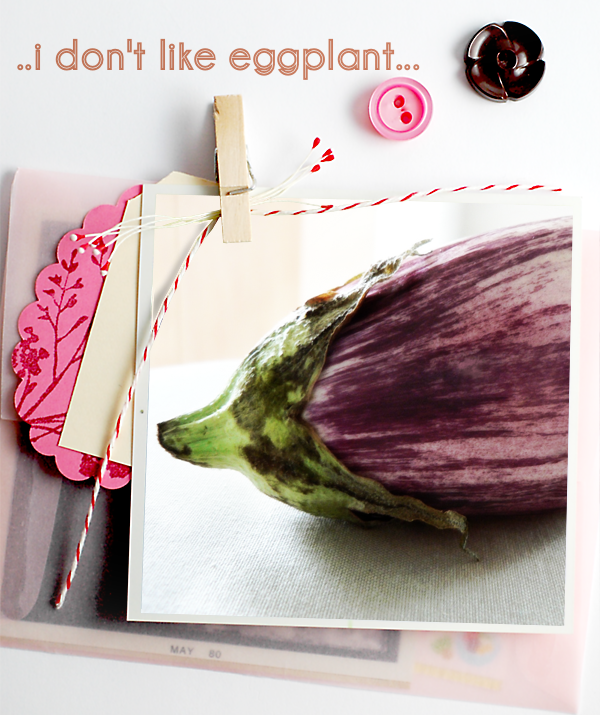 There was a big pile of eggplant. Not the usual eggplant, but the little cute ones that fit in the hand. Beautiful stripy purple and cream skin, and a little green hat. How could I not buy one...? Apart from the fact that I bought only one, there is a slight problem with this gorgeous piece of vegetable..